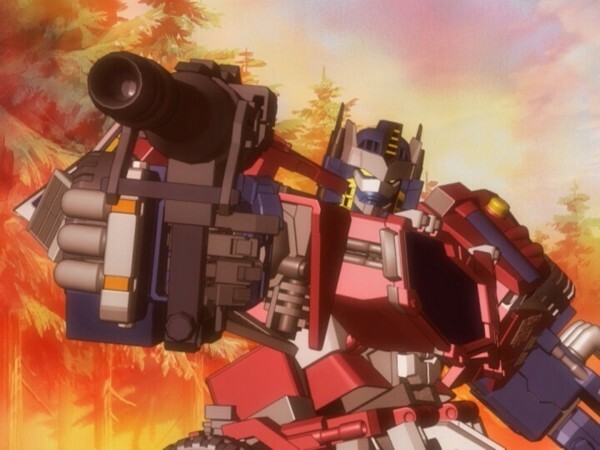 This series is actually both a re-make and re-imagining of the first chapter of the Unicon Trilogy ("Transformers Armada (2002)") and I did not like that at all. Not only was it a bit too soon for a re-hash but it was also very boring to where that I was not caring for what was going on in the main storyline what so ever. There were some scenes that entertained me though but instead of an episode staying interesting (like it should) it goes back to being bland and boring once the scene has ended. Another problem with this show is that the story-arcs are very drawn out to where they last nearly this whole volume to when they should've been done in four-to-six episodes at most. There was one story line that I did enjoy where they pulled their own version of "Hellsing (2001 - 2002)" twist of Van Helsing and Starscream leading a Third Reich of Decepticons. I know that sounds weird but it was pretty good for the short time it lasted. 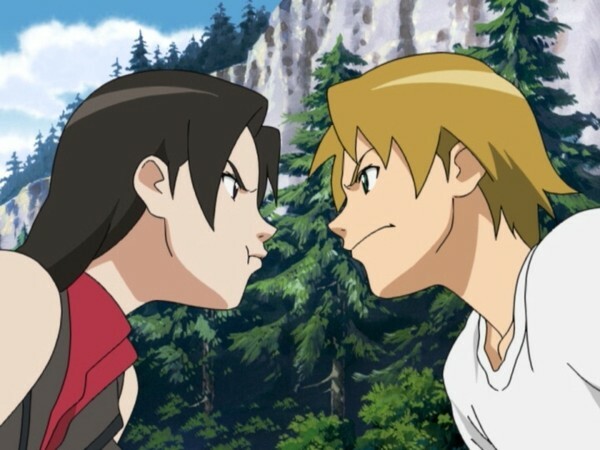 The action in this show is alright but nothing too special, some of the action did drag out a little but there were also some action scenes that were entertaining although very short. The characters in this show could've been a lot better as they were very generic with nothing much interesting about them. A good chunk of the characters were also very annoying to where it made it even harder to watch the show. The artwork in this show uses a traditional 2D style for the humans and backgrounds and I was very mixed on that as the character designs were lazy as if Gonzo just copied designs from their other shows like "Gad Guard (2003)". Some of the backgrounds were pretty nice but the problem is that they re-use background footage all of the time in this show and it really does get a bit too much having that one particular shot shown at any chance they can get. For the Transformers they use 3D CGI for them and I am also mixed as while I do like how they gave the Transformers a very metallic look to them but they also suffer from having lazy designs and also some very ugly ones too. Another weird thing was their faces as they look quite creepy to where it disgusts me a little. Animation in this show is above average and they also like to blend in the 2D characters with the 3D characters and while those scenes had decent animation it looked a bit weird as you have these huge 3D models blended in with traditional animated characters that look very flat like cardboard cut-outs. The show was also a little bit blurry due to age and it doesn't look good while watching on a huge TV. The voice acting in this show was annoying for most of the characters but there were some decent voices like Optimus Prime and Starscream. The acting was also a bit weird as there are some bad lines and also some very creepy disturbing lines like a scene where Optimus Prime is walking with the children only to have a fireman say "We'll be safe, Optimus and his hot friends will know what to do". Who on Earth writes this stuff? "Sergeant Hatred" from the "Venture Brothers"? I'm sorry that I'm diving into an "angry reviewer" mood but this show is frustrating. The soundtrack for me was 50-50 as there was some very nice tracks with a snazzy beat but there was also a lot of forgettable stuff and a rap remix of the Transformers theme that was average but also far from being the worst thing found in this show. 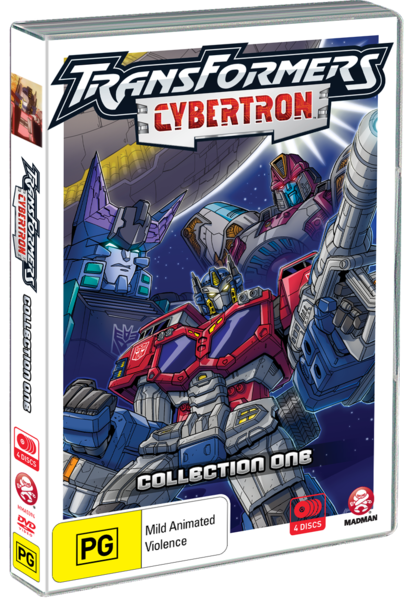 The special features are the best thing about this whole DVD release as you get profiles of the characters (that's not the interesting part), photos of the Cybertron toy-line that looked really well and was way better than any of the CG designs that were in this show. Last but not least you get a feature that is Australian exclusive and that's an episode of Madman's own show "Anime Snack Time TV" (might as well shamelessly throw in a link to their Youtube page right "here" just because I feel like it). On this episode we have an interview with "Garry Chalk" who is the voice of Optimus Prime from not only "Cybertron" but also the voice of him in "Beast Wars", "Armada", and "Energon". The interview was pretty good with some very satisfying answers that entertained me. 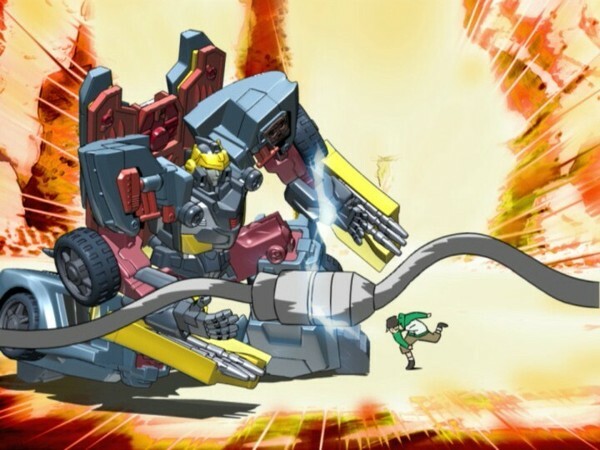 Overall this was not a good adaptation of Transformers at all. It was dull, boring, dragging, frustrating, and a bit off. This collection is a no for me and is some of the worst that Transformers has to offer. Well that's near it for the Unicron Trilogy but alas we have one more volume to go. Will it be a huge improvement over this dud? Or will it be even worse? I'm not quite sure yet but we'll find out soon. Stay tuned.